Thorsten Mäder is a concert organist and winner of numerous competitions and various scholarships. He studied with Daniel Roth in Frankfurt, Halle and Paris. 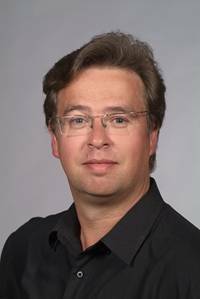 In addition to worldwide concerts and the recording of several CDs, Thorsten Mäder is an regular lecturer at masterclasses in Germany and abroad and, since 1999, Professor of artistic organ playing at the Hansei University in Seoul, South Korea. Als Organist konzertierte Mäder in Polen, England, Spanien, Finnland, Japan, China, Singapur, Hong Kong, Korea, Ecuador, Argentinien, Brasilien, Australien, Neuseeland, den USA und Russland. Mäder lebt in Roxheim. Ferner betreut er auch das Orgel Art Museum in Windesheim. Seit 2009 unterrichtete er als Musiklehrer an der Integrierten Gesamtschule Stromberg (Hunsrück), 2014 wechselte er als Lehrer an die Deutsche Schule in Seoul. Zurzeit (Stand Oktober 2018) ist er wieder in Deutschland an der IGS. 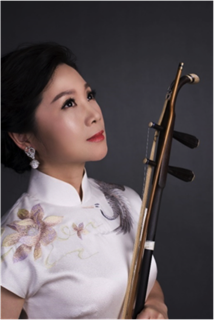 Aiai Duan is a National Class One Musician, an erhu solo artist with the Shanghai Chinese Orchestra, President of the Erhu Committee of the Shanghai Musicians’ Association, director of the Shanghai Performing Artists Federation, and Visiting Professor of the Xi’an Conservatory of Music. She began learning the erhu at the age of six under Liu Yi’an, and graduated from the Conservatory with top grades where she studied Ethnic Music as a specialism under Prof Wang Yongde, a famous teacher in erhu. She has toured dozens of countries and regions, performing as a soloist with the Shanghai Symphony Orchestra, Shenzhen Symphony Orchestra, Shanghai Philharmonic Orchestra, Hong Kong Chinese Orchestra, Macao Chinese Orchestra, Taipei Municipal Chinese Orchestra, National Chinese Orchestra Taiwan, the Little Giant Chinese Chamber Orchestra of Taiwan, etc. She was the erhu solo or lead performer in the scores for many films, television drama series, drama and modern dance productions. Her discography is rich and varied, covering CDs and many solo albums. She has also given several highly successful solo recitals and talks. Duan is noted for her delicate and expressive playing, which exudes a natural charm, insight and infectious notes that touch her audience’s hearts.